Checkered rugs are a fun and trendy way to spruce up a room and add a little excitement to your decor. Checkered rugs are a fun and trendy way to spruce up a room and add a little excitement to your decor. Versatile, yet simple geometric design, The Checker Pattern Rug creates a look of sheer sophistication that will bring an artistic flair to your space. 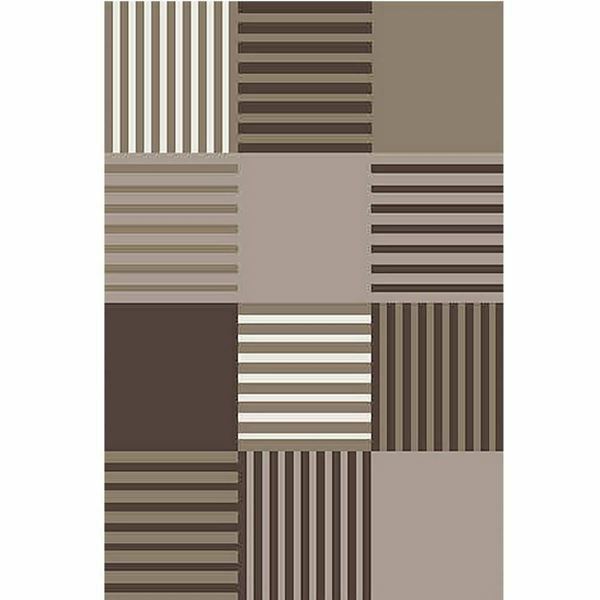 Stunning, intricate checker blocks add an elegant touch to this versatile rug while its neutral brown colors add depth and sophistication to your room. Geometric Checker Brown Rugis made of extra dense pile and durable twisted yarn, so it is invitingly soft and fluffy but stands up well to the heavy foot traffic of daily use. As a general rule, heat-set twisted yarns provide added durability and resilience. On the other hand, denser the area rug, the better it will stand up and keep its original look to time.